Looking back at 2016 we can say it was a very successful year. Not only did more and more people take to the high seas for their vacation, the cruise lines “wowed” cruise fans and cruise newbies by introducing no less than 10 new ships. For 2017, CLIA, the world’s largest cruise industry trade association, expects an estimated 25.3 million passengers will take to the high seas. Also according to CLIA, combined all cruise lines are scheduled to debut 26 new ocean, river and specialty ships for a total investment of more than $6.8 billion. Early 2016 we saw the delivery of Viking Sea, the second ship for Viking Ocean Cruises. With a capacity of 930 passengers Viking Sea is considered one of the smaller big ships. Some of her key features are a Snow grotto with falling snowflakes and a glass-walled infinity pool cantilevered off the ship’s stern. Early April Holland America Line introduced the much anticipated Koningsdam. MS Koningsdam, HAL’s first new ship in six years, features several new concepts. These include new stateroom types, entertainment venues and specialty restaurants. World Stage, the innovative theater onboard Koningsdam, features LED screens two stories high and 250 feet long, surrounding the audience and giving them a spectacular 270-degree view. 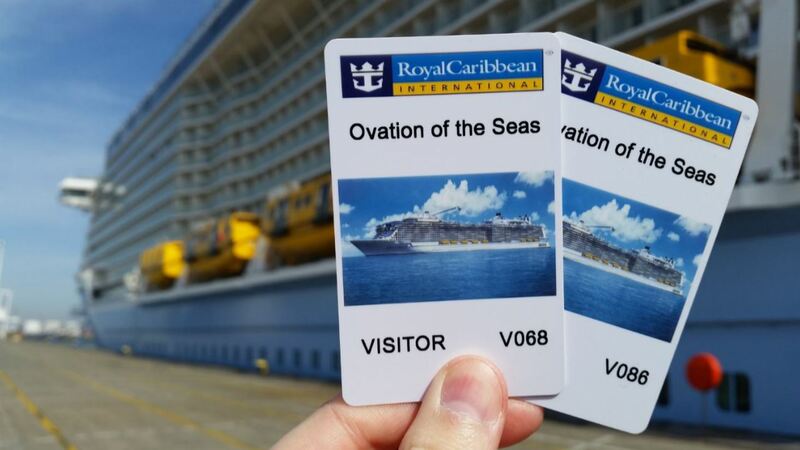 One week later Royal Caribbean’s third smartship, Ovation of the Seas, made her debut with a 5 night France & Belgium cruise, allowing us to be among the first to visit the ship. For a closer look at all the features (skydiving simulator, North Star, SeaPlex, Two70 etc…) the 4,180 guests onboard Ovation of the Seas can enjoy see Ovation of the Seas – a visit. AIDAprima finally emerged from her long overdue construction in Japan. 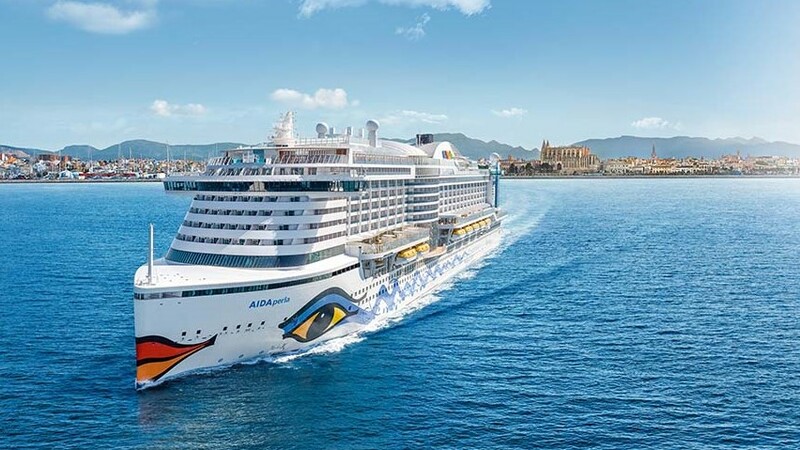 Germany based AIDA Cruises’ new flagship, with her brand new hull design, was supposed to start sailing in October 2015, but unfortunately the shipyard was unable to deliver the ship on time, forcing AIDA to postpone AIDAprima’s inaugural cruise to the end of April 2016. 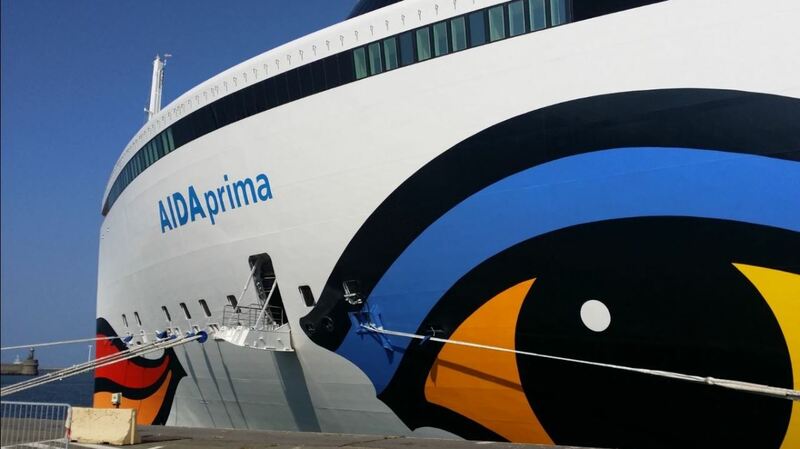 AIDAprima is currently offering weekly cruises departing in Hamburg and Rotterdam. For a closer look inside AIDAprima click here. In May Carnival brought us Carnival Vista. The ship introduced guests to the first IMAX theater at sea and the Havana staterooms & suites, creating a resort within a resort. 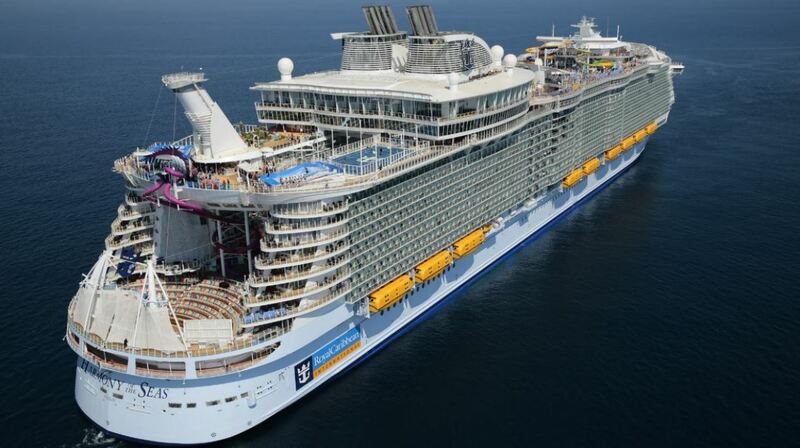 Also in May Royal Caribbean launched the biggest cruise ship in the world, Harmony of the Seas. Harmony features all of the latest innovations that were introduced in the Quantum Class ships and is the first Royal Caribbean ship with waterslides. Also on Harmony: The Ultimate Abyss, the tallest slide on the high seas releasing adrenalin-seeking guests into a chilling 100 foot drop as they slide from the Pool and Sports Zone on Deck 16 to the Boardwalk on Deck 6. In June German Tui Cruises took delivery of Mein Schiff 5 (My Ship 5). At the end of the same month Regent Seven Seas, the all-inclusive luxury cruise line, introduced Seven Seas Explorer, the ‘most luxurious ship to sail the seven seas’. The 750 guests sailing on the all-suite, all-balcony Seven Seas Explorer can experience a ‘new standard in elegance and sophistication’. By October Genting Dream made her way to Asia. Genting Dream is the first ship of the new premium brand Dream Cruises, created by Genting Hong Kong. The final ship to be delivered in 2016 was the ultra luxurious Seabourn Encore. Launched last December, it is the first luxury cruise ship to be christened in 2017. Sarah Brightman, the ship’s godmother, will officially name Seabourn Encore during a ceremony on 7 January in Singapore. The fourth Seabourn ship is a step up in size from the previous ships. Encore carries 600 guests who reside in 300 elegantly appointed suites, each with a private verandah. Designed to feel like a luxury yacht Seabourn Encore promises to be a paradise for wellness lovers and foodies. The new luxury vessel features The Retreat, a sanctuary designed for guests to relax in private cabanas and The Grill by Thomas Keller, the new signature restaurant from the three-star Michellin chef. As the number of people who opt for a cruise vacation keeps growing year by year, so does the need for newer (and bigger) cruise ships. In 2017 a total of 26 new ocean, river and specialty ships are scheduled for delivery. At the end of February we can expect Viking Sky to join the Viking Ocean Cruises fleet. Identical to sister ships Viking Star and Viking Sea the new Viking Sky accommodates 930 passengers in staterooms all equiped with private balconies. Combining elegance and Scandinavian design, the ship features a lounge with two deck high panoramic forward-facing windows, a Nordic-inspired spa complete with snow grotto and an infinity pool offering unforgetable views off the stern of the ship. In April we’ll see Princess Cruises and Silversea introducing their new cruise ships. 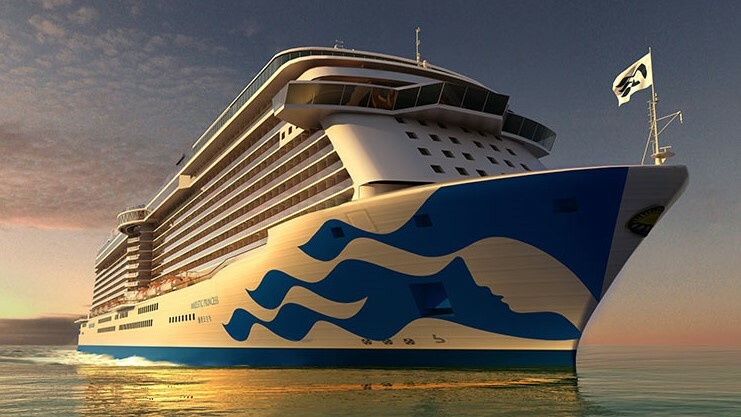 Princess Cruises will debut Majestic Princess. Destined to cater for a Chinese clientele, on the outside Majestic Princess will resemble sisterships Royal Princess and Regal Princess, while on the inside she will carry a whole different look and feel. Majestic Princess’ main features will include a dazzling water color fantasy sound and light show, six private karaoke suites, a new indoor garden lounge and a glass floored “seawalk” extending 30 feet out over the side of the ship and 128 feet above sea level. Before setting sail to her homeport of Shanghai the ship will offer 3,560 guests a season of Mediterranean cruises. Silver Muse, Silversea’s largest luxury ship to date, carrying 596 guests in all-suite accommodation, is set to launch in Monaco. Guests can enjoy exquisite food servings in more than eight restaurants ranging drom teppanyaki and Asian fusion to Mediterranean inspired tapas and lava stone cooking. 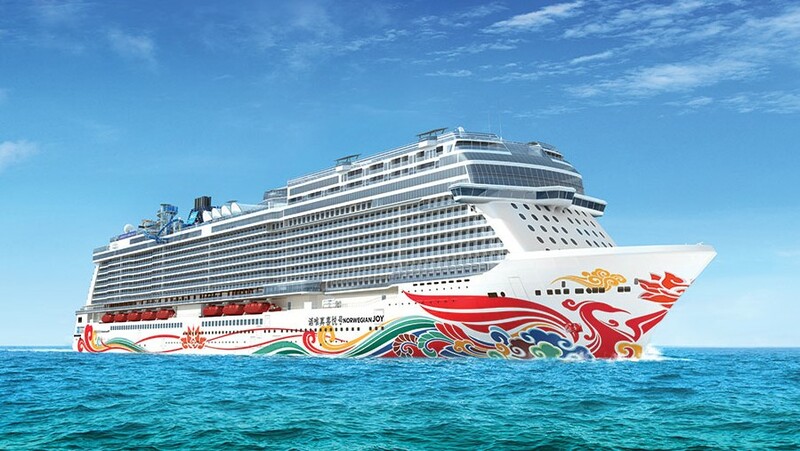 In May Norwegian Cruise Line is launching Norwegian Joy. Originally named Norwegian Bliss, the ship received it’s new name when Norwegian decided to send the ship to China. Norwegian Joy will feature 74 luxurious suites in the exclusive “The Haven” sanctuary, complete with private courtyard, pool, bar and restaurant. Norwegian Joy will be the first ship to introduce interior cabins with virtual balconies to the fleet. 3,900 passengers can look forward to the first two-level race track at sea, a world of virtual reality experiences in the Galaxy Pavillion and The Park, a partially covered green area. With no less than 28 different food and beverage outlets Norwegian Joy is set to become a foodlovers paradise. For a closer look at the culinary offerings onboard Norwegian Joy click here. 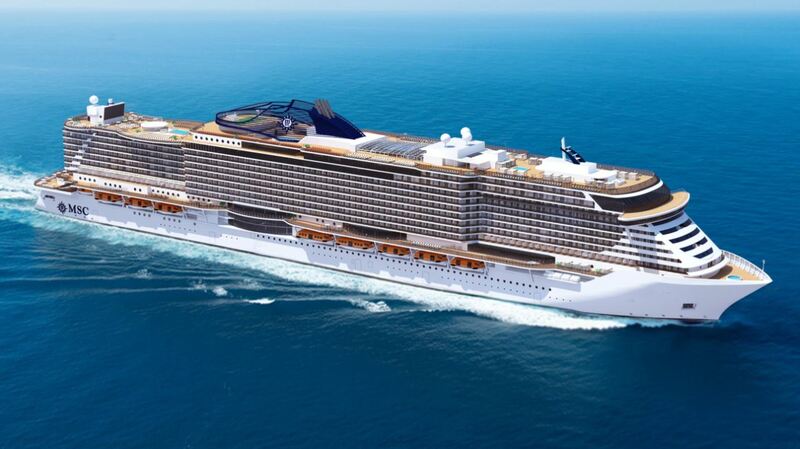 Just in time for the summer season MSC Cruises is bringing us the first of their two new cruise ships. Due to enter service in June MSC Meraviglia is set to become one of the hottest holiday destinations at sea. MSC has planned a wide array of entertainment options to keep the 5,700 guests on board MSC Meraviglia busy at all times. Nicknamed “the ship for all seasons” Meraviglia will feature an aqua park complete with waterslides and a ropse course, a full-size bowling alley, two Formula 1 virtual-reality racing cars and a multifunctional sports venue. The ship’s indoor promenade will feature an 80-metre LED sky creating awe-inspiring visual effects 24 hours a day. The highlight of the onboard entertainment will be represented by Cirque du Soleil, the world leader in artistic performance. MSC Meraviglia will also offer an enhanced Yacht Club concept for MSC’s most discerning guests. For an extended look at all the features onboard MSC Meraviglia click here. Also arriving in June is Mein Schiff 6 the fourth new build ship for German cruise line TUI Cruises. With the focus on the “total wellness” concept, one of the ship’s main features will be a 25-meter swimming pool. Originally sheduled for delivery in September 2017, AIDAperla is set to arrive on July 1st. Just like her sistership AIDAprima, AIDAperla features a covered beach club, indoor and outdoor pools, infinity pools, a lazy river and two glass skywalks. Furthermore the newest fleet in the AIDA fleet will offer a choice of 12 restaurants, 3 snackbars and 14 cafés and bars. AIDAperla will offer cruises in the Mediterranean before moving to Hamburg (Germany) from where she will take over from AIDAprima. In November Viking Ocean Cruises is launching Viking Sun, their fourth ocean cruise ship, in Miami. The final cruise ship to enter service in 2017 is scheduled to arrive in Miami in December. 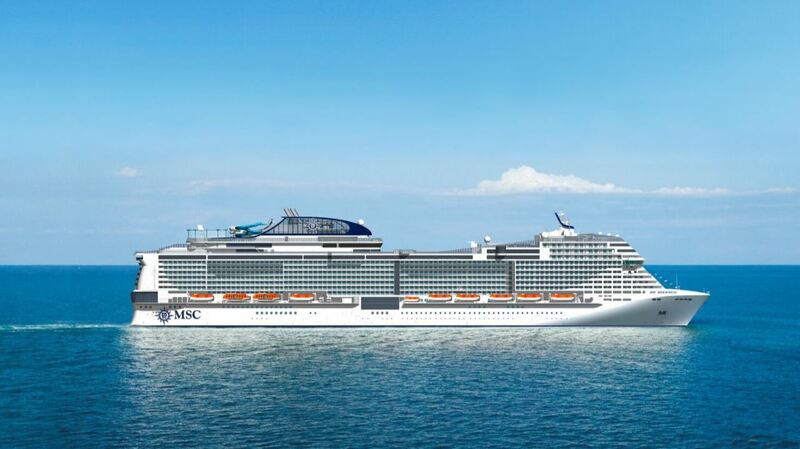 MSC Seaside is the first in a new class of ships with a revolutionary design, inspired by a beach condo concept, bringing 5,179 guests in closer connection to the sea. The first MSC ship to be christened in the United States will feature an aquapark with waterslides, a ropse course and zipline. Glass catwalks will give guests the feeling they are walking on water. The catwalk on the top deck spans 30 metres with views from the top of the ship, while the other two are located on deck eight. These are 40 metres in length and are part of a 360° open air promenade which encircles the entire ship with an array of bars and restaurants for al fresco dining. Beginning October 2018 MSC Seaside will call at MSC Cruises’ Ocean Cay Marine Reserve. For a detailed look at MSC Cruises’ “ship that follows the sun” click here.